When testing for dementia types the animal naming test is a simple one to administer. The goal is to ask the person to simply name as many animals as possible in a certain time period, such as one minute. You must write down the answers, so you can check for duplicate responses. You do not count nor do you mention that they already said that one before. The animal naming test is one of the fastest and easiest of all the tests for determining types of dementia to perform. I know what you are thinking. How accurate is it? The goal of this test is to score at least 14. That means naming at least 14 animals in one minute. Most individuals with normal thinking have the ability to name 14 or more animals in a minute. Those with memory problems or displaying symptoms of dementia will not be able to do as well. 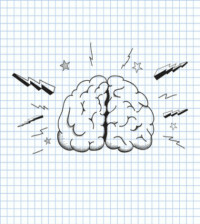 Scoring below 14 can be an indication of impaired memory ability. Those individuals with a score below 14 most likely have a diagnosis of one of the types of dementia . Several studies have shown that 85% of those that were unable to name at least 14 animals actually were given a definitive diagnosis of dementia. 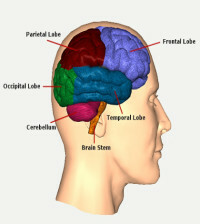 Surprisingly, this test is considered highly effective in identifying general dementia It is even more accurate than some of the more involved and popular tests such as the mini mental exam, we will discuss this exam later. First I will explain what the clock test tells us. 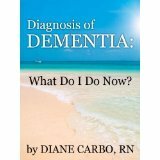 Diagnosed With Dementia Now What ? Vascular Dementia Symptoms: What Is It?